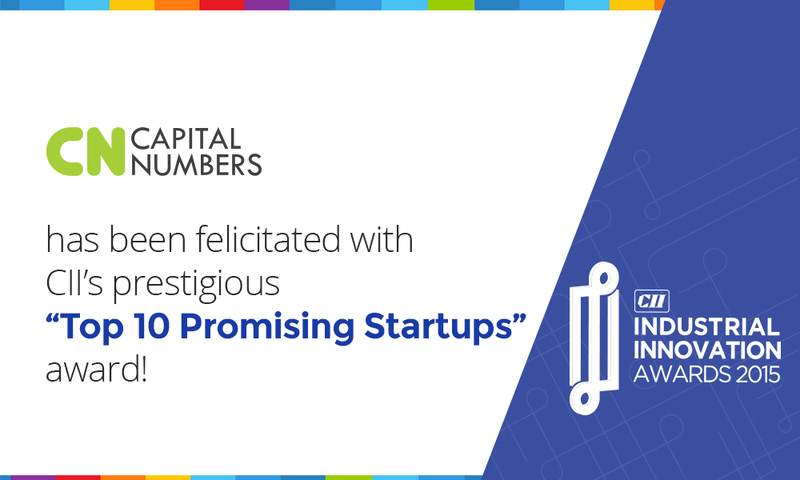 As the year closes in, Capital Numbers Infotech Private Limited continues their journey to bag accolades and awards. The company just got an award at the CII Industrial Innovations Awards 2015 in the category of Top 10 Promising Startups. 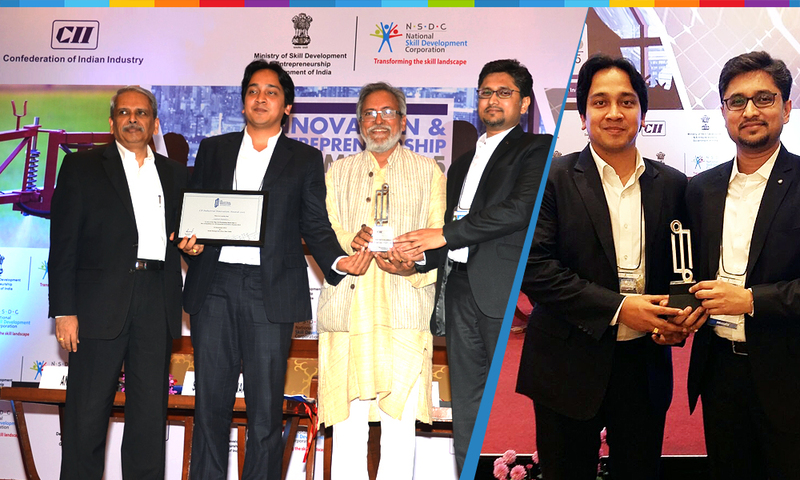 Kolkata, India, December 22, 2015	(Newswire.com) - ​Yet another feather in the long list of achievements of Capital Numbers Infotech Private Limited, a worthy contender in the category of Top 10 Promising Start Ups in the competition for CII Industrial Innovations Awards 2015 organized by CII and Ministry of Skill Development and Entrepreneurship, Govt of India. The company that is merely three years old, has claimed many reputed awards and recognitions thus putting it in line with many big names in the industry. Over the years, Capital Numbers has continued its dedication to innovation and development of leading-edge service model for transforming digital production services. This award happens to be the recognition for all the endeavors of the company. This event was held this year at the capital city, New Delhi on the 15th of December. Representing the company at the event was the Managing Director himself, Mr. Mukul Gupta and the Director of Operations, Mr. Anindya Mukherjee. The award was presented to them by Mr. S Gopalakrishnan (Past President, Confederation of Indian Industry, Chairman, CII Innovation and Entrepreneurship Council 2015-16, and Co- Founder, Infosys Inc.), Prof. Anil Gupta (Executive Vice Chair, National Innovation Foundation & Founder , Honey Bee Network & Professor , Indian Institute of Management, Ahmedabad) and Mr. Amitabh Kant (Secretary, Department of Industrial Policy & Promotion). On being on of the top contenders and getting the award was yet one of the biggest achievements of the company. “We’re thrilled and honored to accept this award and be recognized nationally for our dedication to evolve the digital marketing and production practice.” “We have made a resolute commitment to transform digital production and marketing to achieve highest quality. We are delivering differentiated digital solutions to better meet the needs of todays’ businesses and our clients.” said Mukul. He further added, “This is a great honor and I would like to take this opportunity to congratulate all the employees of Capital Numbers. Together, all of us have come a long way. This accomplishment is the outcome of all the hard work and effort that all of us have put in over the years and we definitely look forward to more achievements in the new year.’” said the happy Managing Director himself. CII is a non-government, not-for-profit, industry led and industry-managed organization, playing a proactive role in India's development process. Founded over 117 years ago, it is India's premier business association, with a direct membership of over 7100 organizations from the private as well as public sectors, including SMEs and MNCs, and an indirect membership of over 90,000 companies from around 250 national and regional sectoral associations. Capital Numbers are providers of Digital Marketing and Production services to those organizations that want to keep their in-house digital teams small or, outsource the overflow work. The company helps organizations affordably scale their digital capabilities. They are an ISO 9001 Certified Organization with offices in India, USA and Australia. Capital Numbers are providers of Digital Marketing and Production services to those organizations that want to keep their in-house digital teams small or, outsource the overflow work. We help organizations affordably scale their digital capabilities.